Mary Holcombe was born in September 1888 at NY.1 She was the daughter of George A. Holcombe and Eunice Ann Warner. [S807] Find A Grave, online http://www.findagrave.com, Find A Grave, database and images (https://www.findagrave.com : accessed 06 May 2018), memorial page for John Robert Bromley (23 Mar 1903–1 Apr 1996), Find A Grave Memorial no. 24248683, citing Walker Cemetery, Cottage Grove, Henry County, Tennessee, USA ; Maintained by Melissa Clayton Key (contributor 46868985) . Matilda Starr was born on 26 January 1832. She married Ira Sheldon Holcombe, son of NY Holcombe, on 1 February 1855. Matilda Starr died in 1878. John Peter Marcus was born in February 1857 at OH. 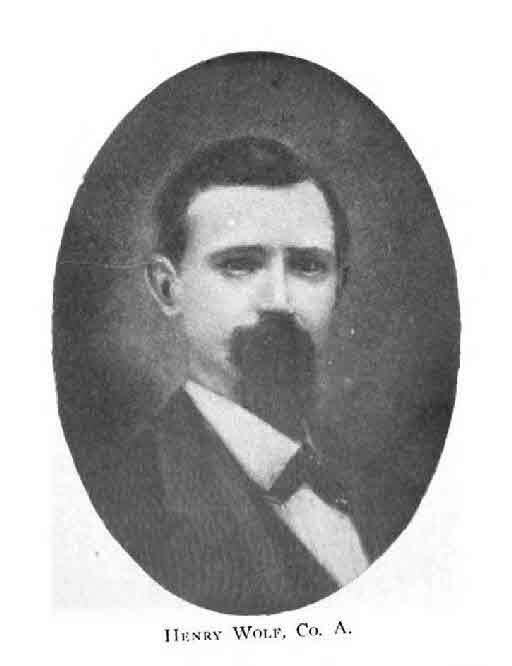 He married Mary Nagel in 1879. [S807] Find A Grave, online http://www.findagrave.com, Find A Grave, database and images (https://www.findagrave.com : accessed 15 November 2018), memorial page for Nancy A. Holcomb (1889–1904), Find A Grave Memorial no. 95559581, citing New Ohio Cemetery, Belden, Broome County, New York, USA ; Maintained by Paul R (contributor 47317162) . Henry was a Ordanance Sargeant in Company D, 20th Regiment, Tennessee Infantry. Henry F. and N. R. were enumerated in the 1880 Nashville, Davidson Co., TN, federal census. He was 38, she was 30. He was a bookkeeper born in Tennessee, both parents in Germany; she was born in Tenessee, her father in Germany, and her mother in Alabama.. Children in the household were Annie 13, Florence 10, Luella 8, and William Henry 5. Widow Regina was enumerated in the 1900 Nashville, Davidson Co., TN, federal census. She was 49. Children in the household were William 24, Florence 27, Frank 17, and Rufus H. 14. Regina had 6 children, 5 still living. There is a FindAGrave entry apparently for a different Henry who died in the 1930's with wife Mary. [S336] Ancestry.com, Ancestry.com. Tennessee, City Death Records, 1872-1923 [database on-line]. Provo, UT, USA: Ancestry.com Operations, Inc., 2012. [S807] Find A Grave, online http://www.findagrave.com, memorial # 60739417. [S807] Find A Grave, online http://www.findagrave.com, memorial # 149779288. Celestina (?) was born circa 1811 at NY.1,2 She married H. A. Holcombe, son of NY Holcombe. [S182] Social Security Death Index (on-line), Ancestry.com, SSDI, Ancestry.com, SSAN 050-16-8344. [S182] Social Security Death Index (on-line), Ancestry.com, SSDI, Ancestry.com, SSAN 063-32-4933.